Reports of Easter celebrations from around the country have been posted to the GraceConnect.us website and to the GraceConnect Facebook page. 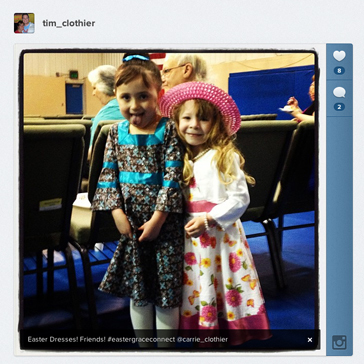 Late last week, the editors at GraceConnect.us announced an initiative to collect photos from Grace Brethren Easter celebrations via Instagram, a free photo app that is available for most smart phones. 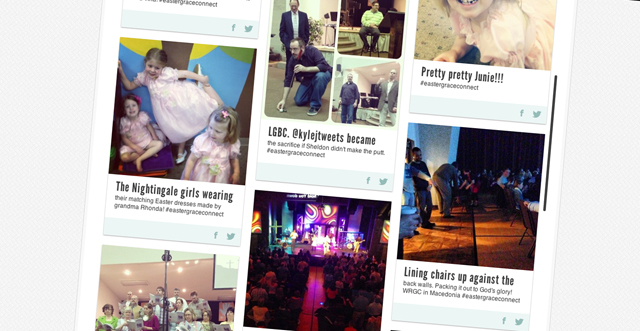 Photos with the hashtag #eastergraceconnect and submitted to Instagram would be posted to the graceconnect.us site. Check out the photo wall by clicking on the icon in the upper right of this page.